INDUSTRY.co.id - Nokia is rumored to be launching Nokia 8 on 16 August; In fact, a variety of information related to the device has been leaked online. Nokia 8 will come with a dual 13 megapixel camera with a touch of optical technology, Zeiss and 5.3 inch screen with a resolution of 1440x2560 pixels. Quoted from the Phone Arena, the flagship device will also be equipped with a front camera 13MP, so users do not have to worry about the quality of images or video when the selfie. According to news circulating quality Nokia 7 selfie enough qualified, users will be able to selfie with good and quality 4K video recording. The keys of the Nokia 8 selfie camera are RGM and monochromatic sensors. The first sensor is a color sensor red, green and blue (RGB), while the second sensor for monochrome. In addition, the phone will also be equipped with Qualcomm Snapdragon 835 processor, 4GB RAM and expandable 64GB storage space. 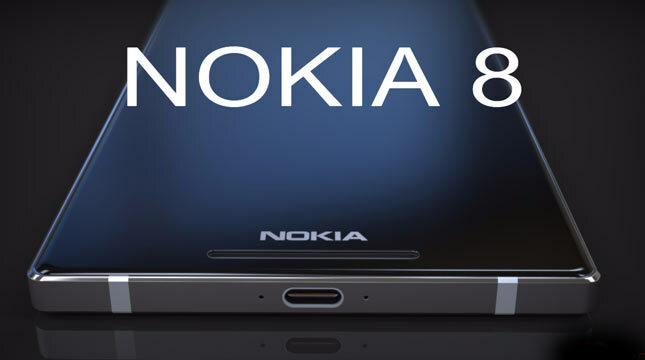 Nokia 8 also reportedly will run Android O, thus Phone Arena. For a possible price Nokia 8 will be priced at 520 Euro or Rp8, 1 million.